Is your dirty driveway getting you down? Pegasus WCS has the answer! 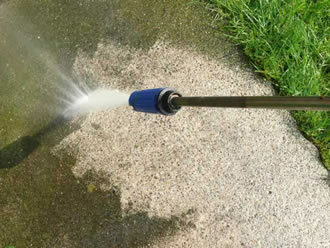 Our high power pressure washers can make even the filthiest driveway look like new again! We can clean concrete, tarmac, paving slabs, brick paving and much, much more. Love your house and make it feel like a home again with a professional driveway and footpath clean from Pegasus! We offer driveway cleaning services across Bristol and South Gloucestershire including Emersons Green, Mangotsfield, Downend, Frenchay, Fishponds, Stoke Park, Frampton Cottrell and Coalpit Heath and surrounding areas.